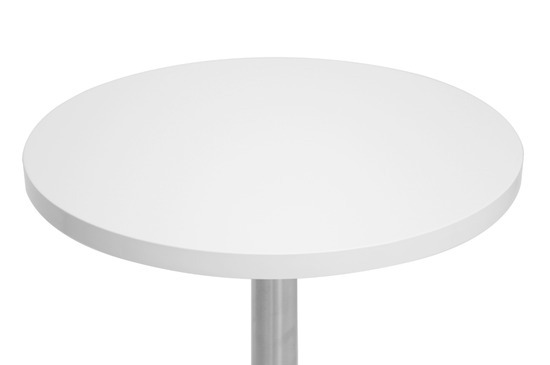 Casa round bistro table is just the thing for a cup of coffee as a cafe table or soup and salad as a bistro table. We love the engineered wood tabletop with glossy white lacquered veneer finish, which is a breeze to wipe clean. A brushed stainless steel base finishes off this versatile and stylish table. Foam pads help to protect sensitive flooring. A larger round table as well as a square-shaped version of the Casa Table are also available.